LEXINGTON, Ky. (Dec. 7, 2010) – The 2010 Innovation Summit, Dec. 9 and 10 in Lexington, will allow some of the state and nation's most forward-thinking education professionals to share their experiences with an audience of Kentucky teachers, school and system administrators, college and university faculty, superintendents and board members. The nation's 2010 teacher of the year, Sarah Brown Wessling, of Iowa, will headline the event, along with national education leaders Mark Elgart, president and CEO, AdvancED; Sharon Porter Robinson, president and CEO, American Association of Colleges for Teacher Education; Gene Wilhoit, executive director, Council of Chief State School Officers; Terry Holliday, Kentucky Education Commissioner, and Mary John O'Hair, dean, UK College of Education. The 2010 Innovation Summit is co-sponsored by AdvancED/Southern Association of Colleges and Schools and the Kentucky P20 Innovation Lab, led by the University of Kentucky College of Education. "The Innovation Summit targets the improvement of student achievement and degree completion in all Kentucky schools as well as building leadership capacity to use innovative technologies, knowledge and research to optimize learning and help educators meet the remarkable challenges we face now and in the future," said summit organizer Tom Jones, director of SACS/AdvancED Kentucky. 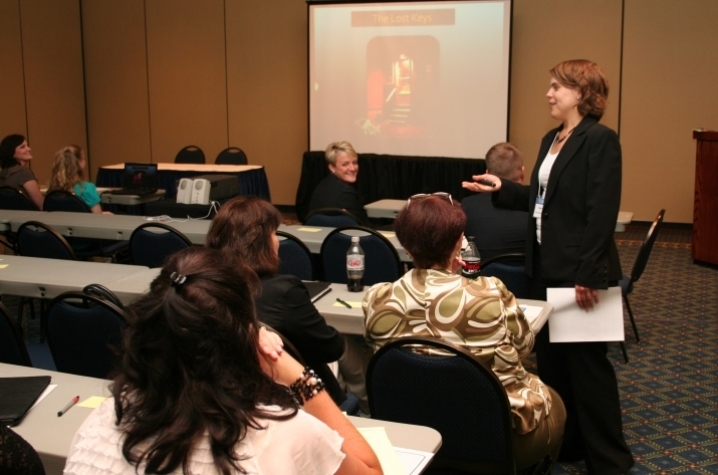 Breakout sessions will be presented by elementary, secondary and college practitioners who have developed innovative practices and approaches to improve student achievement as well as classroom, school and system effectiveness. The groundbreaking work of the Kentucky P20 Innovation Lab will be highlighted. "Innovative frameworks, approaches and opportunities for collaboration from pre-school through college are critically important to our educational institutions as well as the future vitality of our state," said Mary John O’Hair, UK College of Education dean. "We hope that by bringing education innovators all together from preschool through college we can reduce barriers to preparing all students for success in twenty-first century careers and global citizenship." The summit will also feature a presentation from Kentucky school districts chosen to participate in the Council of Chief State School Officers’ Partnership for Next Generation Learning. This project is designed to help states move from their current systems to a new design for public education and influence federal policy to scale, support and sustain what works. States selected for this national effort include Kentucky, Maine, New York, Ohio, West Virginia and Wisconsin. Registration for the summit is full, however, the public is invited to a free lecture by Sharon Porter Robinson from 1-2 p.m. Thursday, Dec. 9 in the Taylor Education Building auditorium (room 158) on the UK campus. The talk is titled "Waiting for Superman – An Illustration of How National Issues Get Framed for Popular Consumption."